The 2018 Emmy nominations were announced this morning, and there’s some good news and some bad news. In addition to the wonderful news that Megan Amram’s An Emmy for Megan did, in fact, get an Emmy nomination, Comedy Series noms went to Atlanta, Barry, Black-ish, Curb Your Enthusiasm, GLOW, The Marvelous Mrs. Maisel, Silicon Valley, and Unbreakable Kimmy Schmidt, while acting nominations went to performers including Issa Rae (Insecure), Rachel Brosnahan (The Marvelous Mrs. Maisel), Bill Hader (Barry), Pamela Adlon (Better Things), Lily Tomlin (Grace and Frankie), and Donald Glover (Atlanta). In the Variety Sketch/Talk categories, nominees include Saturday Night Live, At Home With Amy Sedaris, Sarah Silverman’s I Love You, America, and Full Frontal With Samantha Bee, while Rick and Morty, Bob’s Burgers, South Park, and The Simpsons earned noms in the Animated Series category. 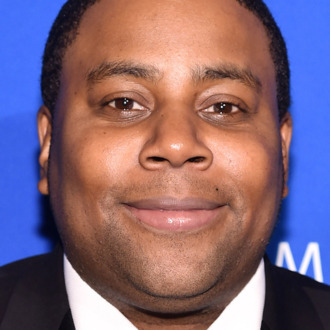 Several Saturday Night Live performers also received noms for their work last season including Alec Baldwin, Aidy Bryant, Kate McKinnon, Leslie Jones, and the very deserving Kenan Thompson. Notable snubs include no Comedy Series noms for CW series Crazy Ex-Girlfriend and Jane the Virgin, ABC’s Emmys mainstay Modern Family (2018 is the first time in the show’s history it has not been nominated), and Netflix newcomer American Vandal (Vandal did get a nom in the Writing for a Limited Series category), while Nathan Fielder’s Nathan for You was snubbed in the Variety Sketch category, which we can blame on either poor judgment by the Television Academy or a lack of skilled hackers who also happen to be Fielder fans.